DAVID LE/Staff photo. 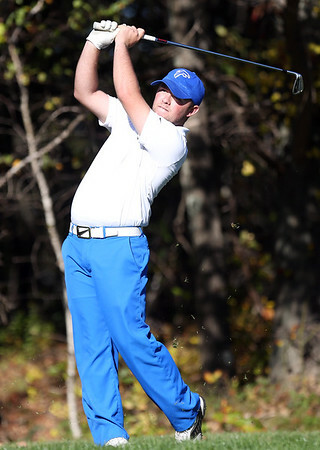 Danvers senior Mike Planksy tees off with the group of leaders during the NEC Golf Championship on Thursday afternoon at The Meadow at Peabody. 10/15/15.